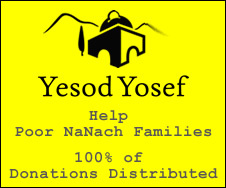 Na Nach Nachma Nachman Meuman: What Made Yehuda Special Really??? What Made Yehuda Special Really??? Yehuda wanted to make sure the elimination of his brother wouldn’t backfire on him so he got everyone to partake of the loot. Smart? Sure. Now that they had gone back to worshipping idols thanks to him, he was safe, a true chip off grandpa Lavan, excuse me, Rebbe Lavan. Yehuda was lucky to have met a goy. The goy (carefully mentioned by name unlike grandpa)and his father and friend are mentioned and this is where Yehuda found a wife. Yehuda’s first two died, because they followed in the footsteps of Dad, but the third he called Shella (hers) and this name apparently saved this third son. I am not promoting Goydome, but want to underline that Yehuda who is considered in these parts as the Messiah had a spiritual level that if situated on the body, would be the part that steps in it every time! All the other parts of the body have a preferable function, (without a doubt). But Yehuda did say: “she is more righteous then I”. Knowing Yehuda, you can’t actually take his word for it. Why didn’t he just keep his mouth shut and have her executed? Well, the baby was still in her stomach folks, no one else to continue the “tribe”. Was this selfish as usual? Consider great grandfather Abraham and his willingness to sacrifice Isaac. My guess is that Yehuda had learned from the local people to respect Abraham and had accepted fully the idea that “Moloch” (sacrifice of children) was unacceptable. As a Na Nach, on this first day of Hannukka, we are being grossly challenged, all of us. When I go around in a train with my son, women call him and hush hush ask him…is this your father? (this is not the only time this happens to me) Rabbis brainwash our children into thinking that we are a sect of madmen, social workers attack our offspring, Rabbis perform Brit Mila in the absence of the father, making sure there is no protest from the congregations, who go along with this avera. Without truth, there is no humility. Sounds like level 50 challenges h"y.